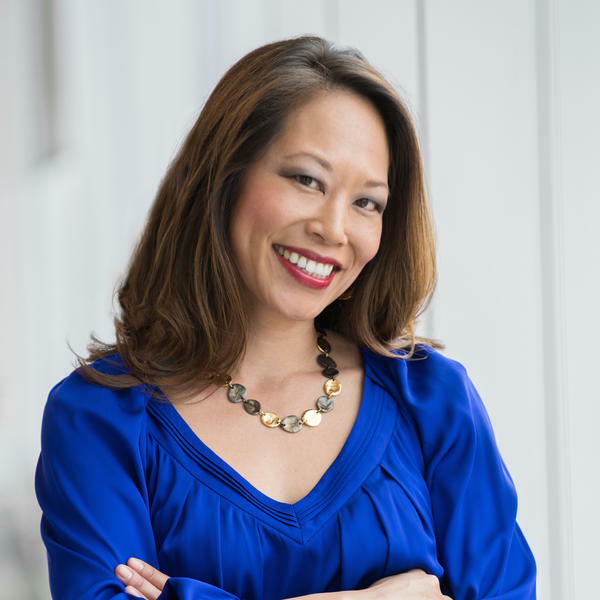 Ailsa Chang is an award-winning journalist who hosts All Things Considered along with Ari Shapiro, Audie Cornish, and Mary Louise Kelly, and is a correspondent for NPR's Planet Money. She landed in public radio after practicing law for a few years. Her colleagues still let her geek out on the law at Planet Money, where she's covered the underground asylum industry in the largest Chinatown in America, privacy rights in the cell phone age, the government's doomed fight to stop racist trademarks, and the money laundering case federal agents built against one of President Trump's top campaign advisers. Previously, she was a congressional correspondent with NPR's Washington Desk. She covered battles over healthcare, immigration, gun control, executive branch appointments, and the federal budget. Chang started out as a radio reporter in 2009, and has since earned a string of national awards for her work. In 2012, she was honored with the Alfred I. duPont-Columbia University Silver Baton for her investigation into the New York City Police Department's "stop-and-frisk" policy and allegations of unlawful marijuana arrests by officers. 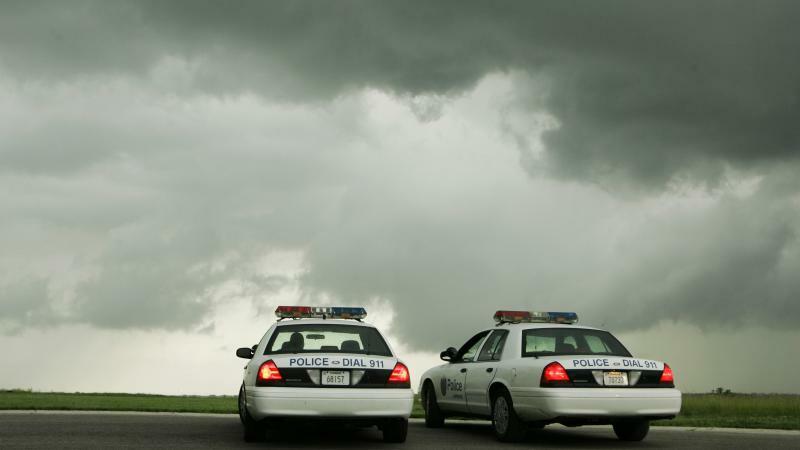 The series also earned honors from Investigative Reporters and Editors and the Society of Professional Journalists. She was also the recipient of the Daniel Schorr Journalism Award, a National Headliner Award, and an honor from Investigative Reporters and Editors for her investigation on how Detroit's broken public defender system leaves lawyers with insufficient resources to effectively represent their clients. In 2011, the New York State Associated Press Broadcasters Association named Chang as the winner of the Art Athens Award for General Excellence in Individual Reporting for radio. In 2015, she won a National Journalism Award from the Asian American Journalists Association for her coverage of Capitol Hill. 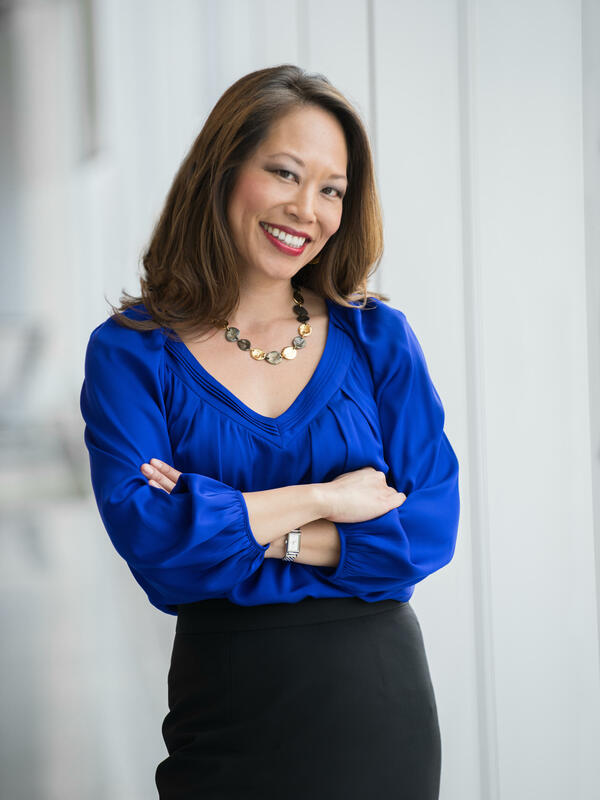 Prior to coming to NPR, Chang was an investigative reporter at NPR Member station WNYC from 2009 to 2012 in New York City, focusing on criminal justice and legal affairs. She was a Kroc fellow at NPR from 2008 to 2009, as well as a reporter and producer for NPR Member station KQED in San Francisco. The former lawyer served as a law clerk to Judge John T. Noonan Jr. on the United States Court of Appeals for the 9th Circuit in San Francisco. Chang graduated Phi Beta Kappa from Stanford University where she received her bachelor's degree. She earned her law degree with distinction from Stanford Law School, where she won the Irving Hellman Jr. Special Award for the best piece written by a student in the Stanford Law Review in 2001. Chang was also a Fulbright Scholar at Oxford University, where she received a master's degree in media law. She also has a master's degree in journalism from Columbia University. She grew up in the San Francisco Bay Area, where she never got to have a dog. But now she's the proud mama of Mickey Chang, a shih tzu who enjoys slapping high-fives and mingling with senators. Lt. Col. Bree "B" Fram left a doctor's office on April 2. Presenting that day as Bryan, the name given to them at birth, B should have been relieved. "Overall, it's a good thing," said B. "It just didn't feel great to have to do it on someone else's timeline other than my own." "It" was an official diagnosis of gender dysphoria. As a transgender member of the military, B had to secure the diagnosis by April 12 in order to continue serving openly. The new novel Trust Exercise opens with teenagers attending an elite performing arts high school in the 1980s. There, the theater kids form heartfelt friendships and relationships, and then sabotage them. Their semi-tyrannical drama teacher both inspires and manipulates them — with his "trust exercises." Midway through, the book leaps forward in time and perspective. One of the students, Karen, is now an adult, re-thinking her past. Quinn Robinson is only 18 years old, but she has already learned some hard lessons about the world. 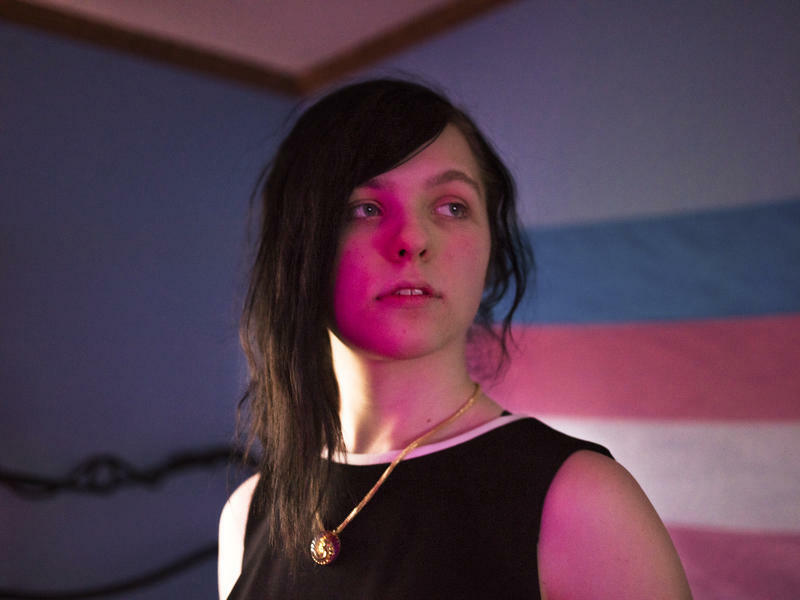 "It's scary being a trans person because I know there are people out there who just hate me for being myself," she says. "There's been kids who have approached me and say, 'Hey, you should burn in hell.' "
Robinson is a high school senior in Allendale, Mich., a small but growing town about 30 minutes outside Grand Rapids and smack dab in the middle of what's known as the state's "Bible Belt." Drive off the main road and you quickly find yourself in farm country. Jennifer Eberhardt has been interested in issues of race and bias since she was a child. The African-American Stanford University psychology professor — and author of a new book called Biased -- grew up in an all-black neighborhood in Cleveland, Ohio. Then, one day, Eberhardt's parents announced the family was moving to the Cleveland suburb of Beachwood. When Eberhardt arrived there, she told NPR's Ailsa Chang, she noticed something strange: She could no longer tell people's faces apart. 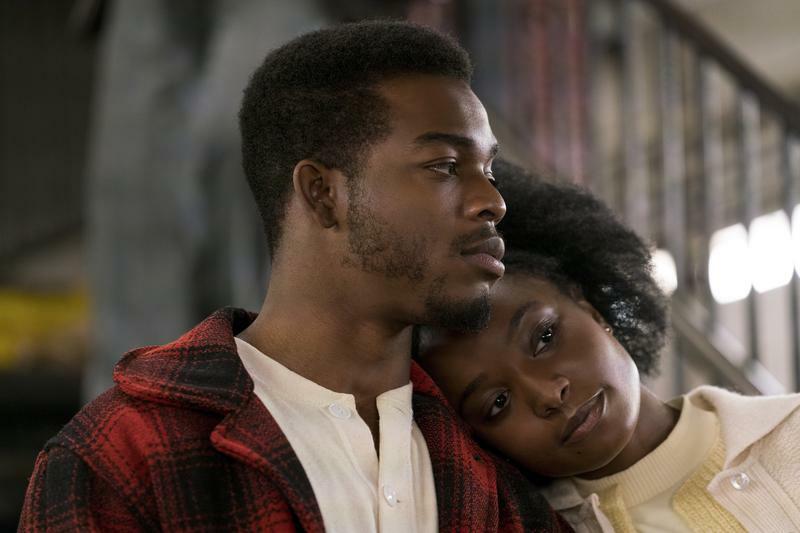 The new movie If Beale Street Could Talk is based on a James Baldwin novel of the same title. Barry Jenkins (Moonlight) adapted and directed the film. And in working with the Baldwin estate, he received a leather notebook filled with Baldwin's handwritten notes about how he would have approached a film version. 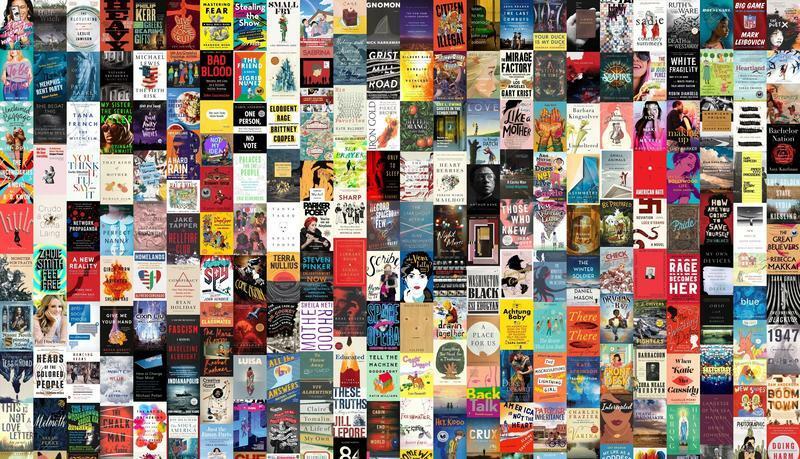 Tayari Jones says there are two things to consider as a book matchmaker: "You have to match what you think your friend would like to read, with what you think your friend should read — and you have to make a Venn diagram of that," she says. As Congress prepares to adjourn for the holidays, one piece of legislation that's still on the table is a bipartisan criminal justice bill known as the First Step Act. 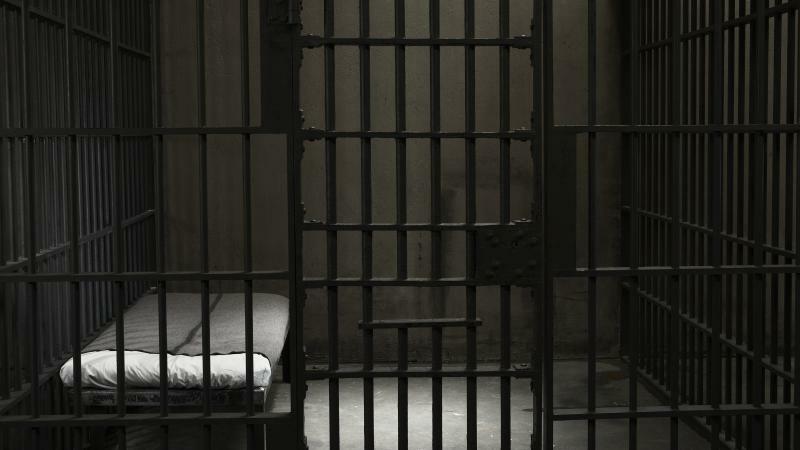 It aims to improve federal prison conditions and reduce some prison sentences, a sticking point for some lawmakers. But the bill also contains a less controversial provision: a ban on shackling pregnant women. Incarcerated people outside prison walls are considered potential flight risks. That label applies even to pregnant women when they leave prisons for medical care or to give birth. 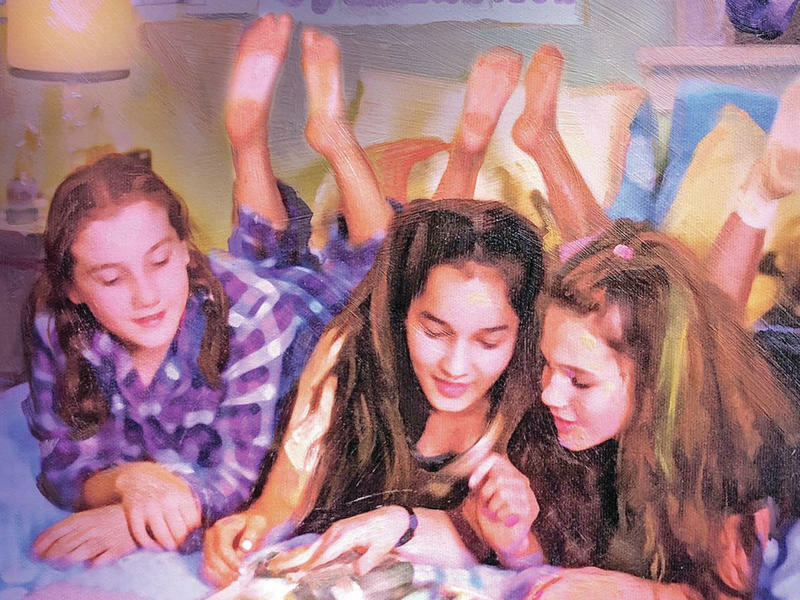 A couple years ago, author Gabrielle Moss was feeling "worn down by the world" and found herself impulse buying an entire crate of "Sweet Valley High" books on eBay for $25. At first, Moss was binging these books — "Sweet Valley" and other series — as "nostalgic stress relief." Moss had devoured these pastel-colored paperbacks during her own preteen years — she estimates she read two per week. Cooking is about community. But it can also be about solitude. 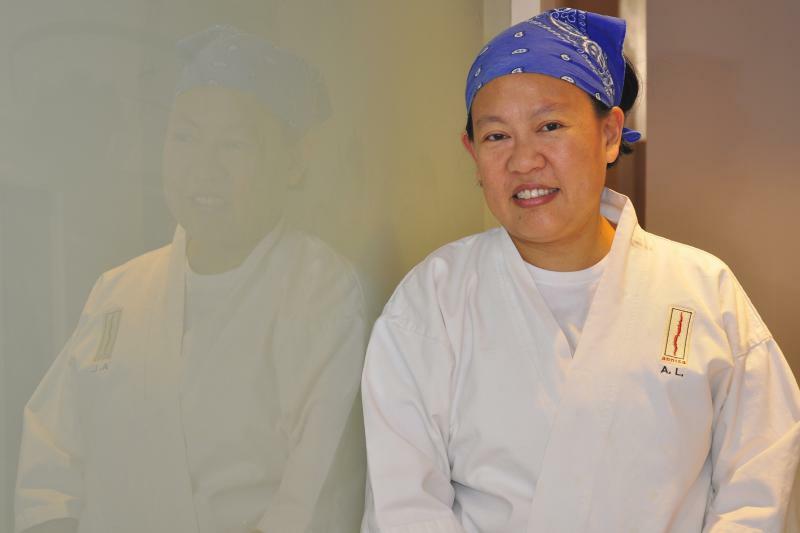 That's where chef Anita Lo's latest cookbook, Solo: A Modern Cookbook for a Party of One, comes in. "Food is culture, food is identity. So it's reaffirming to cook the things that either you grew up with or the things that you love," Lo says — whether it's for your whole family or just yourself. 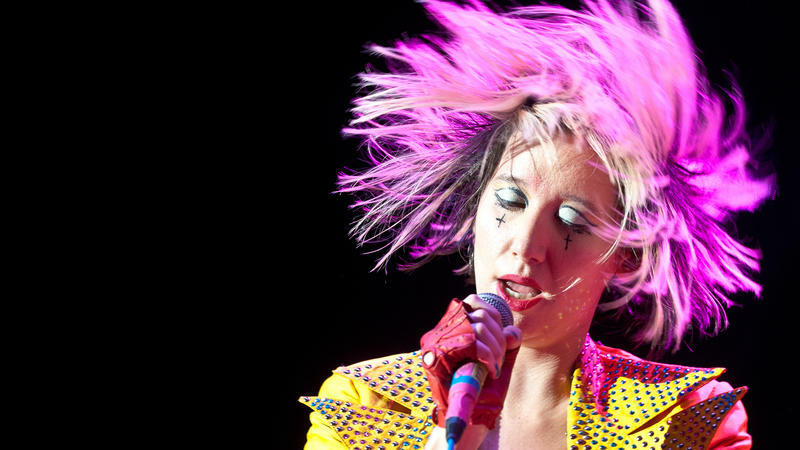 Last year, NPR Music picked the 150 greatest albums made by women for the first year of the Turning The Tables series, an ongoing project dedicated to recasting the popular music canon in more inclusive ways. President Trump has a heaping plate of foreign policy background to consume in May, which will see a possible summit with the leader of North Korea, a deadline to decide on restoring Iranian sanctions, and the move of the U.S. Embassy in Israel from Tel Aviv to Jerusalem. 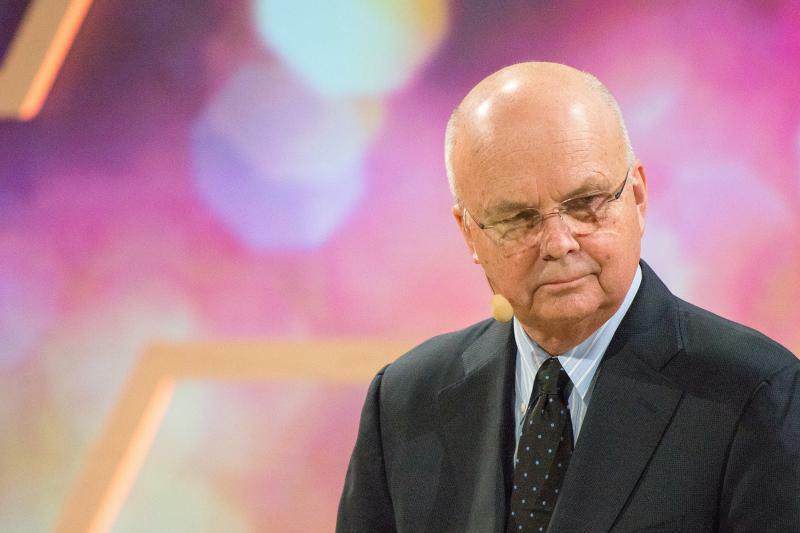 In the past, most presidents have leaned on the intelligence community for guidance and context — but Trump has made plain his differences with the CIA, FBI and National Security Agency. In jails and prisons across the United States, mental illness is prevalent and psychiatric disorders often worsen because inmates don't get the treatment they need, says journalist Alisa Roth. In her new book Insane: America's Criminal Treatment of Mental Illness, Roth investigates the widespread incarceration of the mentally ill in the U.S., and what she sees as impossible burdens placed on correctional officers to act as mental health providers when they're not adequately trained. In 1993, Alex Wagner saw a familiar face on the cover of Time magazine: It was a computer-generated picture of a multiethnic woman who reminded her of ... herself. Wagner's father is white and from the Midwest; her mother is from what was then Burma. And after reading the Time story on "The New Face of America," Wagner, then a teenager, decided to embrace her identity as a "futureface." A couple of years ago, Bernie Dalton was a strong, physically fit, 40-something-year-old surfer. Every morning, he would get up at 4 A.M. to watch the sunrise in Santa Cruz, Calif. Bernie wasn't a musician at the time, but he was passionate about music. His lifelong dream was to record an album. Friday is April 20, a day that some people celebrate by smoking marijuana. The Police Department in Lawrence, Kan., is preparing for this week's pot holiday by sending safety tips via their official Twitter account, run by officer Drew Fennelly. Those tweets have gotten thousands of likes, and they aren't the only ones. Fennelly says that using humor serves a purpose: The funnier the tweet, the more likely the department's updates reach a wider audience. 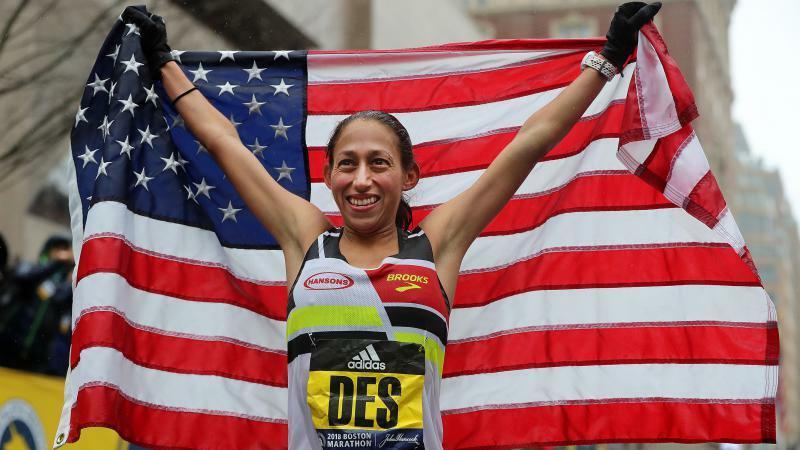 Desiree Linden became the first American woman to win the Boston Marathon since 1985 — finishing 26.2 miles in 2 hours, 39 minutes and 54 seconds on Monday. The 34-year-old two-time Olympian lives in Michigan, and she finished second at the Boston Marathon in 2011. But her victory this week almost didn't happen. In the cold rain and wind, Linden says she wasn't feeling well and thought about bailing out of the race. The Flushing neighborhood of New York's Queens borough is home to the largest population of Chinese immigrants in any city outside Asia. Zhuang Liehong is one of those immigrants. 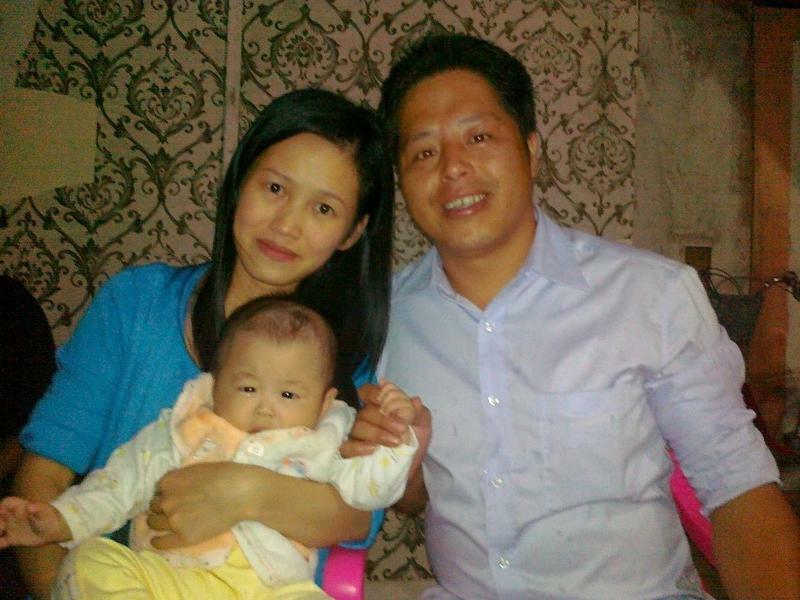 He arrived in 2014 from Wukan, a small village in the Guangdong province of southern China. When he first arrived in Flushing, he says it felt like a city in China. "Other than the buildings and Chinese store signs, just look at the pedestrians on the streets," he says. "They're mainly Chinese people." 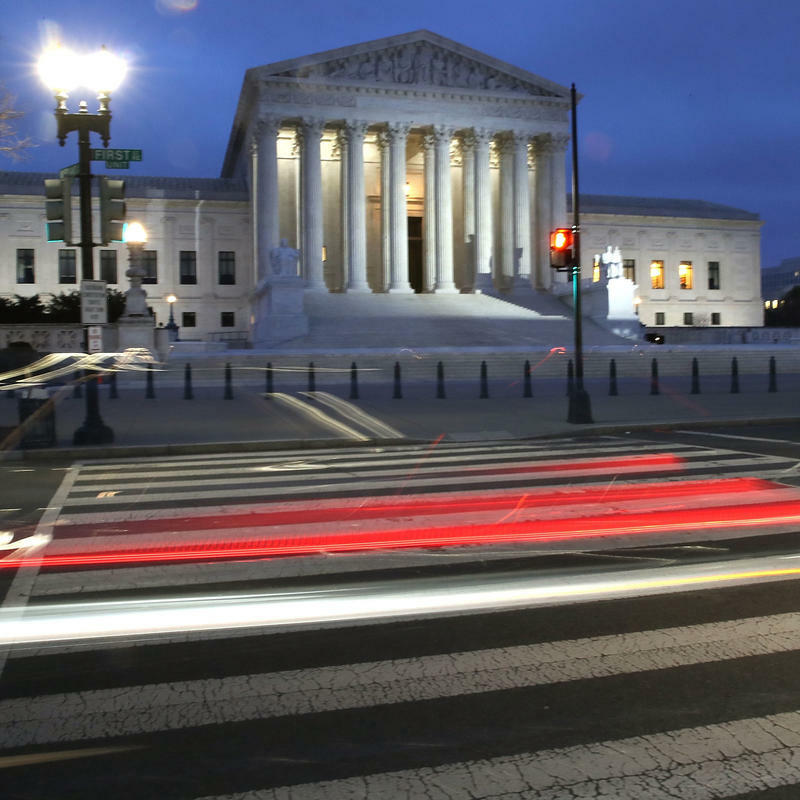 Next week the Supreme Court will hear arguments about whether state lawmakers in Wisconsin went too far in preserving their political power. The case could be the first time the justices set limits on what's known as partisan gerrymandering. 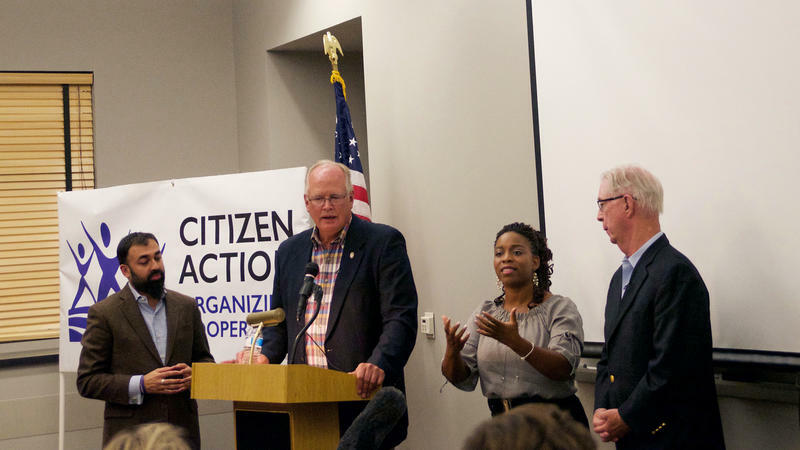 That's when the party in power deliberately redraws district lines to keep control of the legislature. 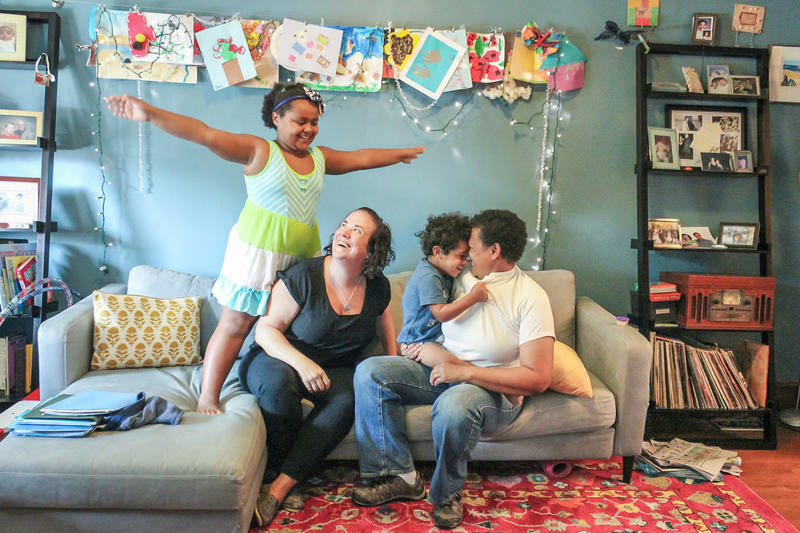 Meredith and Martha Holley-Miers live in a brick row house in Washington, D.C. with their two kids and a big rainbow flag in front. The couple has been legally married for seven years — and together for 14 years. 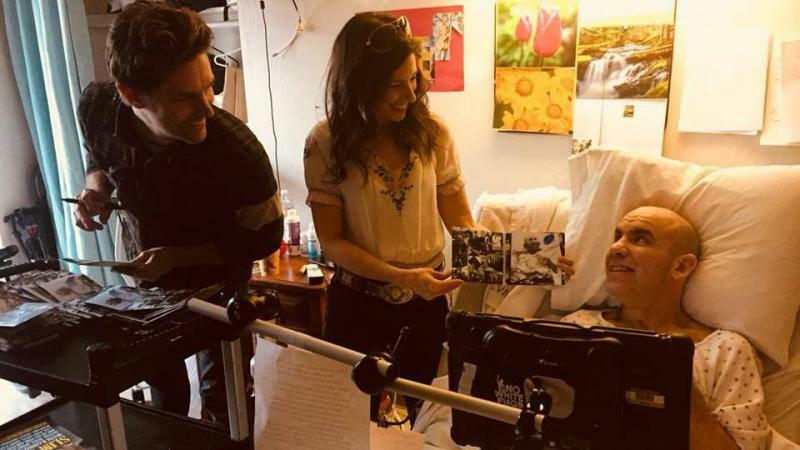 When they decided to have a baby, they "went through a lot of time and a lot of money and a lot of heartache trying to get pregnant," Martha says. They used an anonymous sperm donor, and it took them many months. 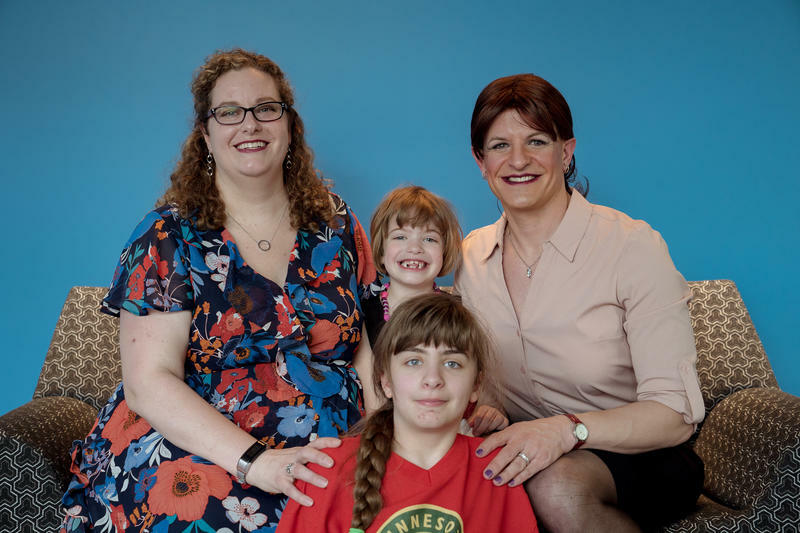 When Martha gave birth to daughter Janey — now a bubbly 8-year-old — in 2009, they knew that they'd need to put forth yet more time, money, and heartache. Long after the floodwaters recede and the debris is cleared, the mental health impacts of disasters like hurricanes can linger. 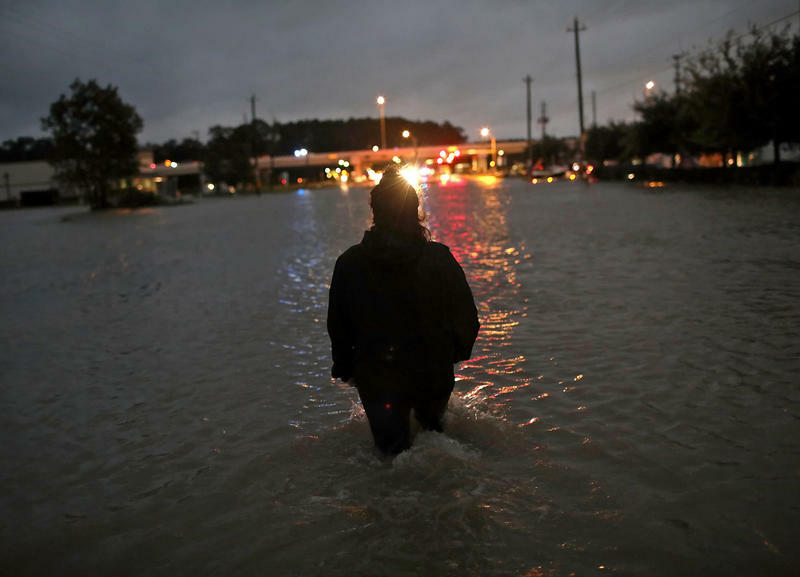 Psychologist Jean Rhodes of the University of Massachusetts-Boston has spent more than a decade studying what happens to people years after a natural disaster — in this case, Hurricane Katrina. 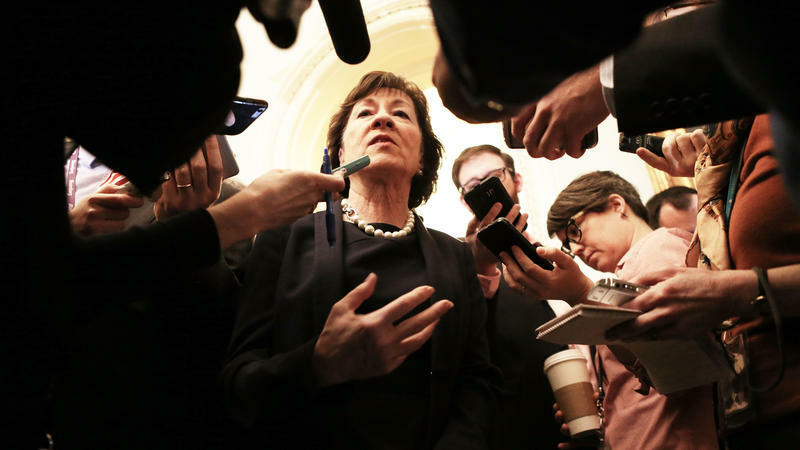 Susan Collins has broken both of her ankles. She broke her left one when she was running in high heels to the Senate chamber because she so desperately refused to miss a vote. The Maine Republican has the second-longest voting streak in the Senate, by the way, after fellow Republican Chuck Grassley of Iowa. "He has a longer streak, but I'm the only one who's never missed a single vote," said Collins in a recent interview in her office, referring to Grassley missing votes early in his Senate career. Not that she's keeping track. President Trump has made his pick to fill the ninth seat on the Supreme Court. Senate Takes First Step To Repeal Obamacare — So What's Next? At about 1:30 a.m. on Thursday, Republicans moved one step closer to repealing a law they have railed against since the moment it was passed nearly seven years ago. 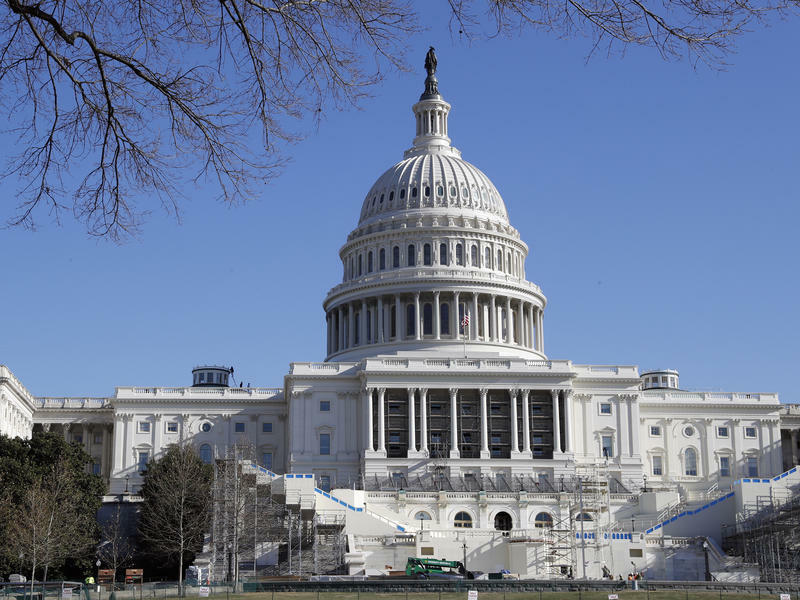 By a final vote of 51-48, the Senate approved a budget resolution that sets the stage for broad swaths of the Affordable Care Act to be repealed through a process known as budget reconciliation. The resolution now goes to the House, where leaders are hoping to approve it by the end of the week. Much has been said about the physical and psychological injuries of war, like traumatic brain injury or post-traumatic stress disorder. 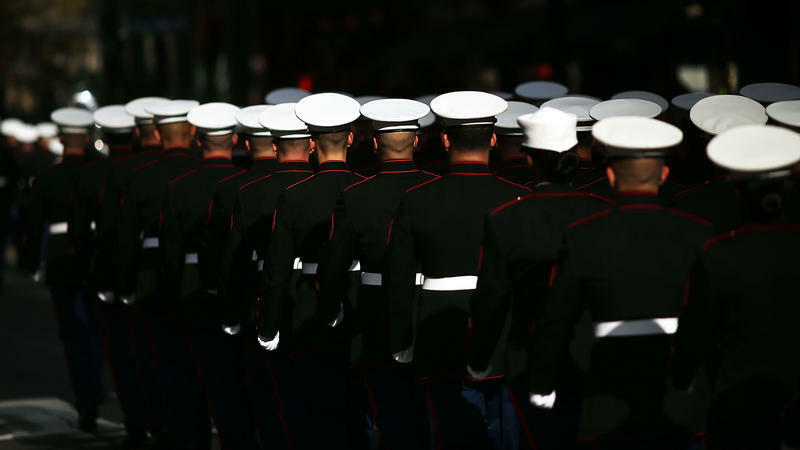 But what we talk about less is how these conditions affect the sexual relationships of service members after they return from combat.